This is a short demo, presenting basic game's concepts, with most features, like world map and map editor being disabled. Please note that the game is still in alpha stage of development, therefore unoptimized and prone to crashes. The demo should run well on Windows 7, Windows 8 and Windows 10 PCs with average configuration. When run on emulators there could be some slowdown with mouse cursor. Controls W,A,S,D - move camera; Q, E - change floor. Any donations will be used to fund the further development of this game. - Terrain collapse: when ceiling has no nearby support columns, it collapses, killing units below and damaging the ones above. - Numerous fixes to digging. - Fix to previously introduced firestorm bug, when fire-wave became unstoppable, burning through the whole map. 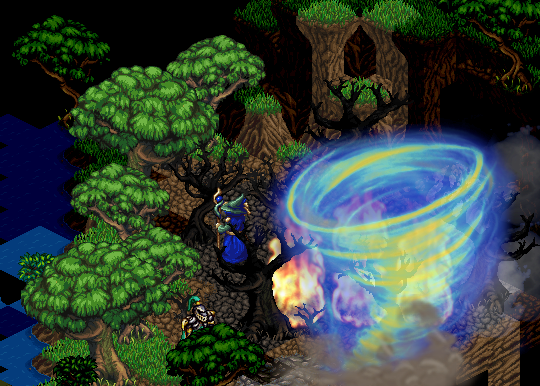 - Cataclysm spell to flood your enemies and open a passage through waters. Finally you can play as Moses! - Tornado spell, which scatters units and removes mist. - Proper time system, instead of abstract turns. Now every turn models real life hour. - Night time: every 8 turns out of 24 turns day, from 22:00 to 6:00. Undeads have more defence at night, while units without darkvision have reduced sight. - Rain, which extinguishes flames in outdoor areas and prevents the use of fire spells, like firestorm and fireball. Units inside rain get -1 to sight. - Proper wood bridge tile, instead wooden floor. 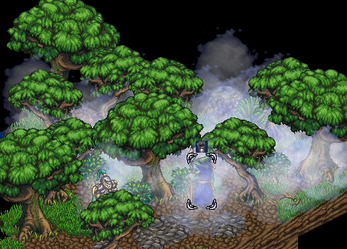 - Fixed fog sight bug, when cell below or above give units cant be accessed inside fog. - Fixed bug with invalid empty check, affecting several spells and leading to potential crashes when one creature teleports into another creature. - Fixed crash hiding drowning unit. - Spiders creating web traps. - Spider poisonous attack effect. - Improved wizard's basic attack visual effect. - Fixed ash draw order. - A few fixes for demo map, making it a bit easier. - Fog/smoke breaking line of sight. - A new spell to create mist, which allows sneaking around enemies. - A ton more fixes to wall cutting graphics. - Better detonate spell's icon. - Fixed bug with AI player's units activating triggers intended for human player only. 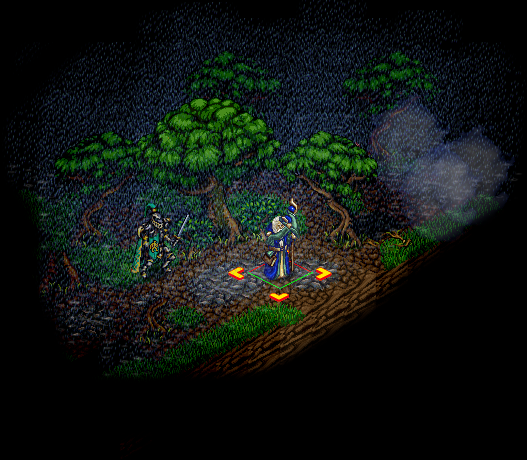 - Fixed update of tiles inside fog of war. - Minor optimization to tileset loading. - Fixed burning of objects under the flame and burning platform objects, so they get properly replaced with ash and units on top of them fall down into flame. 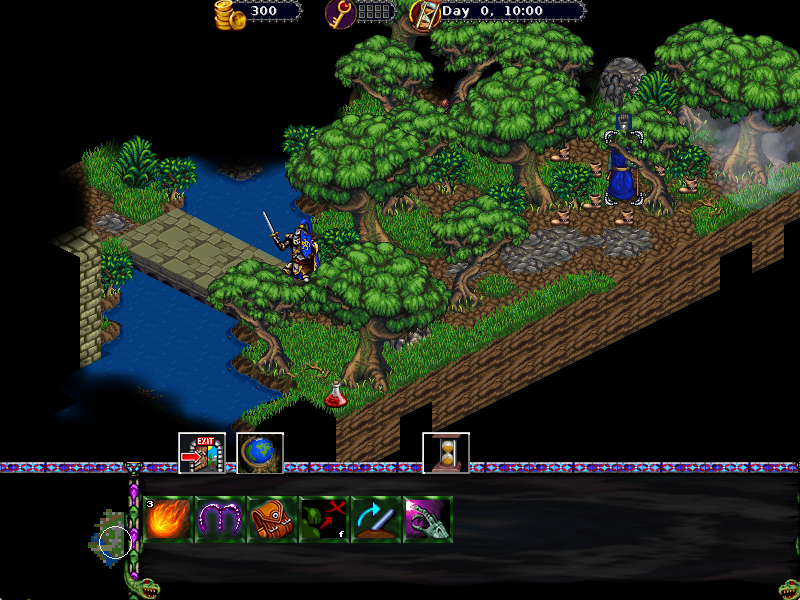 - Fixed unit transparency, so thin objects, like obelisks near portal and windows, wont block vision. - Fire, lightnings and explosions now burn down grass and other flamable objects, like trees and boxes. - Focus on AI's spell target. - A few more fixes to wall cutting graphics. - AI no longer casts spells at invisible player's units. - Less confusing wall top graphics. It is a zip archive. Maybe you're using 32bit version of Windows? 32bit OSes are not currently supported. No. Putin is just a corrupt KGB officer, responsible for many deaths and sufferings. I can't manage to launch the game. I'm using Windows 7. Maybe I miss some required directx or something. That is SDL2 thing. I got this error, when tested on emulator with unsupported soundcard. I will update SDL version in future, and maybe even get rid of it in favor of DirectX or OpenGL. Thanks for your answer, it solved my issue, I didn't have connected speakers, I plugged speakers into the pc and now it works. Yeah. I will report it to SDL mail list as error. Games shouldn't crash if people turned off sound.